In practical terms the US Constitution is whatever the Supreme Court du jour says it is. Not surprising then that the claimed Constitutional basis for many of its decisions has been simply derisory. Like when the Court stopped the counting of votes during the Bush-Gore Presidential Election. The SCOTUS is essentially a political body charged with conjuring up a Constitutional veneer for what are generally political rulings. And that's the reason why places on the Court are fought over so strenuously. Recently this Court remarkably established that - somehow - the original Framers had gay marriage in mind when they drew up that sacred document. I'm sure many SCOTUS law clerks have burnt the midnight oil trying to retrofit some legalistic gobbledygook onto this piece of nation-wrecking legislation which was passed by the smallest possible margin, 5-4. And it really gets interesting when we analyse the makeup of the winning team because no fewer that three of the five are Jewish. Yes Justices Breyer, Ginsburg and Kagan are all of the Tribe. In other words 3% of the American population provided 60% of the voting block that forced through a ruling that now becomes binding on all of those States that don't want it. Meanwhile White Protestants, the descendants of the people who built the country and currently make up about 40% of the population, provide not a single member of the SCOTUS. Say it loud, say it clear. The USA and indeed all of the Anglosphere operate under a JOG: Jewish Occupation Government. Can the explanation really be that simple? By the - admittedly abysmal - standards of the region Senegal is a beacon of wealth, peace and stability. Yet according to an Oxford University study no fewer than three out of four Senegalese would emigrate to Europe if given the choice. The country's population has doubled since 1990 and is forecast to double again by 2040. Based on these figures it's not unreasonable to extrapolate that, with unrestricted immigration from Africa and Middle East, Europe's population of 500 million could double within five years. In effect this would mean the utter destruction of the Continent. () In the case of Muslims....well, don't get me started! Yet political 'leaders' in Europe and the USA have in recent years effectively thrown open their borders to the Third World, an act which they well know will destroy - irrevocably destroy - the countries which they were elected to serve. Arguably no traitor in history has accomplished such an existential betrayal. And it's not as if there's no alternative. 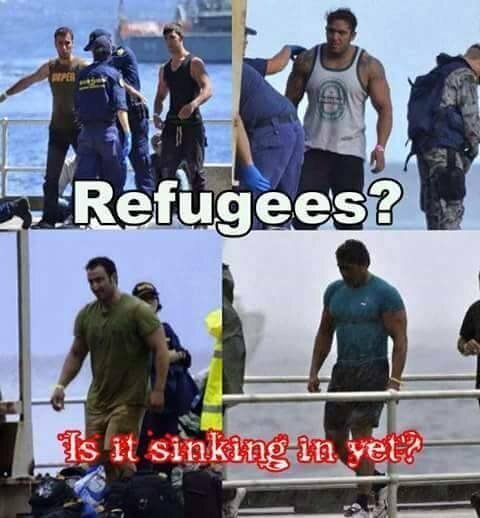 In Europe's case applying the Australian Solution - towing the boats back to where they came from - would eliminate the problem overnight. So why do they do what they do? About fifteen years ago a very senior Saudi Minister (one of the Saud family) loftily pointed out to me - correctly - that Western democracies usually elect the very worst kind of person to top political positions. He further added that such people can be, and are, routinely 'bought' with large wads of money, directly or indirectly. He assured me it was as simple as that. Some may get blackmailed as well but money is the primary motivator. Although adamant in his assertion I didn't believe him at the time, if for no other reason than it appeared too simplistic an explanation for complex issues. But recently James Baker, former US Secretary Of State and consiglieri of the Bush crime syndicate said pretty much the same thing. European political leaders have all been bought or compromised in some other way. And by God he should know. So I'm actually coming around to that view myself. I don't buy the idea, not for one second, that the top politicians are naive or stupid. They've clawed their way to power through deep cynicism and a cold-eyed understanding of how things and people work. "Let me tell you the trouble with girls. Three things happen when they're in the lab. You fall in love with them, the fall in love with you, and when you criticise them they cry'. As offensive remarks go this must represent one of the most inoffensive imaginable. Especially when the offender is a Nobel Prize-winning scientist who himself is married to a (female - we have to clarify gender these days) scientist. But it was enough to get him forced out of his job at University College London. And you see that's the whole point. Because the Thought Police Commissars want to make us fearful of speaking our minds and the more truthful and harmless the offence the more effective the ensuing punishment. Here's an explanation from Theodore Dalrymple (a truly good Jew). And therein lies my disappointment with Prof. Hunt's reaction. Boilerplate grovelling retractions and apologies all round. When will they learn? Such grovelling serves merely to whet the appetites of the shrieking careerist dykes and their snivelling manboobed enablers. Like throwing a stuck pig into shark-infested waters. Fight back! Don't concede the moral high ground. Force them to justify their absurd positions. Escalate. Sue them for the distress that you have suffered. The only apology should be 'I apologise for not offending you more than I did'. See how the bastards react. They're totally unprepared for fight-back of any kind. Remember that after the Crucifixion came the Resurrection. And on that note I'll leave you with a few inspiring thoughts from some inspiring people. And the most important: 'If there must be trouble, let it be in my day, that my children may live in peace'. We seem to be on an optimistic roll these days, what with Peak PC and Narrative Collapse. But here's something even more inspiring. And it comes from what we had assumed to be the most guilt-ridden and demoralised country in Europe: Germany. A truly stunning article in the mass circulation Die Welt (referenced in an English-language Greek blog) came straight out and claimed that modern-day Greeks are not the racially pure descendants of the Ancient Greeks. Wow! just wow!, as libtards are wont to exclaim. The article claims that 'Greeks are not real Greeks in terms of racial purification' and the blogger sees this as a manifestation of the racial arrogance evinced by northern Europeans towards their southern cousins. Oh deary me. He describes this development as falling 'like a heavy sledgehammer on the heads of those believing that Germany had learned from the fatal mistakes of the past.....and uprooted from its soul the racism of National Socialism'. And apparently the reader comments are every bit as bad/good. "It is scary but not surprising to see the attitudes of how many supposedly classically educated Germans think in the comments section". This one for instance. "Ancient Greeks were big, blonde and blue-eyed (the horror! the horror!) while modern Greeks were black-haired and brown eyed." Don't know about you but I find this absolutely stunning. I had no idea that this kind of race realism would see the light of day in a mainstream German publication. And recently on the ARD TV channel (apparently one of the biggest in the world) Ursula Haverbeck gave an interview in which she deconstructed the whole Holocau$t™ narrative. I tell you. There is hope. Have we reached Peak PC? It used to be said that America was a great country. For only there could a poor black boy (Michael Jackson) grow up to be a rich white woman. Of course the parade of transgender freaks that now assails our senses everywhere we turn makes poor old MJ appear positively passe. Those mutants have all been praised for their 'courage'...until now. Because there's an imposter in their ranks. 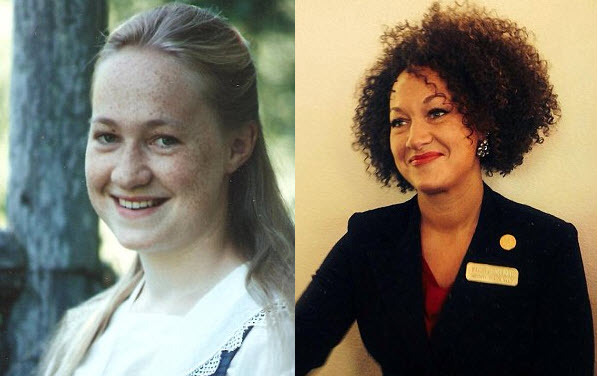 I refer to Spokane NAACP Chapter President Rachel Dolezal who apparently transformed from being a blue-eyed freckly white kid into being a black adult. Or more correctly, an orange adult. One with frizzy hair. In an intriguing development she's been forced out of that position because......she's not black. So an organisation set up to combat racism forces one of their members out....because of her race. And in fairness it's a bit of a stretch to class her as black. Which raises the question as to why, if medical science can give us transgender freaks like Bruce/Caitlin Jenner, it cannot provide a transracial service. Can't be that difficult. It means darkening the skin, kinking the hair, enlarging the genital areas, buttocks and lips, adding about 100 pounds overall. The tricky bit would require the removal of large chunks of brain while instilling an aversion to work and a propensity for crime and violence. Challenging, but manageable. And think of the rewards for the lucky transracialists. Preferential admission to schools and colleges, professional examinations dumbed down just for you, well-paid meaningless jobs 'working' for the Gub'mint, AA quotas in private sector businesses (with the added bonus of being able to cry 'racism' when you inevitably mess up), special government-mandated contracts for minority-owned businesses. And if you're of a less active disposition a lifetime of Section 8 free upper-class hosing, EBT cards for your day-to-day living expenses, free medical care, Obamaphones.....the list goes on. So I genuinely see this as a great business opportunity. But it does also raise problems. Serious problems. For a start everyone has the - roll of drums - human right to be whatever they want. But what would happen if everyone becomes one of The Oppressed? A Victim. Like, you can't give preferential treatment to everyone. That's self-evident. So what then will become of the Victimhood Hierarchy? Who gets the spoils deriving from White Guilt? The wealth produced by the White middle and working classes? It's enough to make any Politically Correct Gauleiter's head explode. So I axe you: Have we reached Peak PC? Are we starting to see the collapse of The Narrative? Is the 'liberal' (ha!) PC Narrative, the one endlessly purveyed by the MSM for over half a century, starting to collapse under the weight of its own inconsistencies? My optimism is spurred by the reaction to press coverage of (roll of drums) The Texas Swimming Pool Horror. You must have heard about it. If not you can get a comprehensive deconstruction of it here. Here's a brief outline of The Narrative version which exploded onto the MSM. Upper-class gated community has a pool party. For some reason a resident calls the cops.....who then proceed to run riot against the unfortunate vibrants - and only the vibrants. 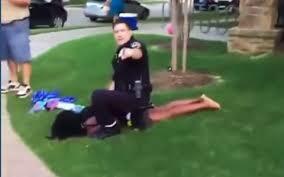 Excerpt: 'brutally pinning a black girl to the ground by her head as she cried for her mother.' Then the piece de resistance: a policeman pulling a gun when approached by two gentle giants.....who of course were only trying to help. Following the breathless reporting that ensued the cop concerned was immediately thrown under the bus by his superiors. 'The actions of Eric Casebolt were indefensible. The officer was out of control during the incident'. But then the real story began to emerge. The organiser of the pool party was a Section 8 parasite living in the expensive complex courtesy of the (White) taxpayer. She was not entitled to even access the pool area but yet as part of a commercial venture issued an open invitation to all and sundry to attend the party. Cue the arrival of busloads of hood rats who jumped the fence and immediately started a chimpout. The purpose of this post is not to go into details on the event which can be accessed at the link above. Rather I want to focus on the reaction to it: An explosion of outrage at the misreporting and a concomitant plummeting of trust in the official media. Even the heavily-moderated comments on the likes of CNN, CBS and the Huffington Post were overwhelmingly negative towards the MSM and its reliability. Here's just one from Yahoo News. "First we had Trayvon, then Michael Brown and now this incident. In every case the media told blatant lies. Blatant lies. From now on I belive NOTHING the media say. Good luck'. A subsequent commentator replied 'the lies go back beyond Trayvon. What about Obummer himself. Everything they told us about this fraud was lies as well'. I've observed for a long time the increasing divergence between MSM content and the ensuing reader comments. But this development has broken new ground. There's been, in my view, a paradigm shift in the public's perception of the Narrative the authorities have been peddling. Is the House Of Lies about to collapse under the weight of its own flagrant inconsistencies? Has the cognitive dissonance become too blatant? The last days of the Soviet Union spring to mind. Are our current elite nation-wreckers much different from the frozen leaders of that country, waving atop Lenin's tomb, unaware that as they did so their world was collapsing around them? In fact it gets even better. Erhard Milch reached Field Marshall rank and did more than anyone, including Hermann Goering (to whom he directly reported) to develop the Luftwaffe into the formidable fighting force that it became. This was surprising because you'd imagine being Jewish - which he was - would have been something of a career dampener in the NAZI military command. Actually Hitler thought so much of him that he ordered his Jewishness to be down-played and even promoted him ahead of such legendary and eponymous military aircraft designers as Willy Messerchmitt and Hugo Junkers. "Don’t you realize how much I’m with my whole being rooted in Germany. My life would be very sad without my homeland, without the wonderful German art, without the belief in Germany’s powerful past and the powerful future that awaits Germany. Do you think that I can tear that all out of my heart?...Don’t I also have an obligation to my parents, to my brother who showed his love to our Fatherland by dying a hero’s death on the battlefield….Someday, I want to be a German amongst Germans and no longer a second-class citizen just because my wonderful mother is Jewish?" His mother being Jewish made him fully Jewish. And yet here he was, in the middle of WW 2, fighting in the ranks of the Wehrmacht. Isn't it a strange old world? Think of the time and effort those super-efficient Germans could have saved had they extracted the Jews serving in their own ranks first. Yet throughout the war there were Jews at every level, from Admiral and Field Marshall right down to the ordinary soldier, all serving valiantly in the German armed forces. Very strange. Almost as strange as an SS Officer being jailed by an SS Court for ill-treating Jewish prisoners in the Death Camp of Auschwitz. Or Elie Wiesel and his father choosing to travel back with the retreating German forces rather than wait for 'liberation' by the Red Army advancing on the same Death Camp. The FIFA World Cup is arguably the world's greatest sporting event. Little wonder then that the winning country requires a minimum of eight years to prepare. Even then, as we saw with South Africa and Brazil, frantic last-minute efforts are often required to avoid disaster. And with a complex and protracted multi-year qualification process to select the final 32 you'd imagine that only the finest minds in logistics and planning would be selected to organise such on onerous task. If you did you'd be wrong. Ladies and gentlemen I present you with the Hon. 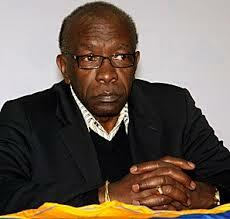 Jack Warner. Mr. Warner has for many years sat at the very top table in FIFA, Sepp Blatter's right-hand man, wooed and cultivated by powerful world leaders like Barak Obama and Gordon Brown. He was one of a tiny handful who evaluated and ruled on the complex bids submitted by applicant countries for the hosting privilege. ZURICH—After the Justice Department indicted numerous executives from world soccer’s governing body on charges of corruption and bribery, frantic and visibly nervous officials from FIFA held an impromptu press conference Wednesday to announce that the United States has been selected to host this summer’s 2015 World Cup. “We are thrilled to reveal that, for the first time in 21 years, the World Cup will finally return to America, with matches set to kick off today at 5 p.m. local time in Los Angeles,” said FIFA president Sepp Blatter, smiling broadly before unveiling the tournament’s official logo, a hand-drawn stick figure kicking a soccer ball with “USA 2015!” hastily scribbled in black marker above its head. Yup, this titan of world sporting governance fell for that. Even by the abysmal standards to which the multicultural world has fallen this simply beggars belief. Think about it. This guy was at the very pinnacle of FIFA power and yet could be induced to believe that a whole new World Cup could be magicked up - out of the blue - within a few weeks. I don't use the term lightly, but only a mental retard could believe such a thing. Someone like Congressman Hank Johnson, a man at the pinnacle of the American Defence establishment, who believed the island of Guam might 'topple over' if too many US servicemen were placed there. In comparison to such people Caligula's horse appears a judicious legislator. And a civilisation that willingly yields power to them is clearly in terminal and irretrievable decline. And it's all done by design. The latest shocking outbreak of Islamophobia arises in the US where a vulnerable Muslim 'scholar' was forced to undergo the shocking and traumatic experience of having her tin of Coke forcibly opened for her. This outrage has lead to a perfectly rational mass boycott of the airline involved. Some readers have written to me via email and others have commented on my plan to raise issues relating to the authenticity of the Holocau$t™. The gist of the message seems to be that 'opening old wounds' is unhelpful and liable to, well, open old wounds. 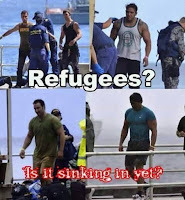 That we're all now in the same boat trying to stop Muslim and African invasions of White lands. I'll leave the response to Dr. Oscar Levy who wrote the following in correspondence published by the Dearborn Independent. There is scarcely an event in modern Europe that cannot be traced back to the Jews.....There is no doubt that the Jews regularly go one better than the Gentile in whatever they do, there is no further doubt that their influence today justifies a very careful scrutiny, and cannot possibly be reviewed without serious alarm. Now the really interesting thing is that this was published in 1921, well before the nation-wrecking abominations as exemplified by the Frankfurt School and their larvae were visited on the unfortunate guilt-ridden White race. So if 'old wounds' are reopened I say ...good. We need to have 'the Jewish influence which cuts to the root of all things' out in the open and subjected to forensic examination. The Holocau$t™ story is another WTC 7 in that demonstrating the impossibility of the prevailing narrative undermines the whole basis for the broader agenda. I hope my contribution helps in some small way.